Shrine of Remembrance and Sovereign Hill will appeal to museum buffs. Old Melbourne Gaol and Scots Church will appeal to history buffs. Dedicate the 20th (Mon) to wine at some of the top wineries in the area. 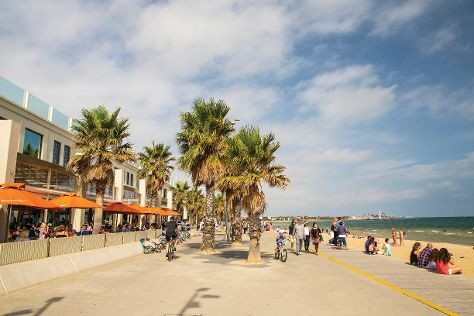 There's lots more to do: enjoy the sand and surf at St. Kilda Beach, indulge in some culinary diversions at a local gastronomic tour, explore the world behind art at National Gallery of Victoria, and browse the different shops at Melbourne Central. To see photos, where to stay, other places to visit, and other tourist information, use the Melbourne holiday maker . If you are flying in from Singapore, the closest major airport is Melbourne International Airport. In May, daytime highs in Melbourne are 20°C, while nighttime lows are 9°C. Wrap up your sightseeing on the 21st (Tue) early enough to travel back home.